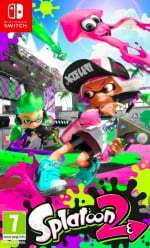 Splatoon 2 is a remarkable game, as many of you will no doubt be aware. However, it's significant for another reason, too - it's one of the first major internally-developed Nintendo titles on which a westerner is credited for game design. Jordan Amaro might not be a household name right now, but you'll almost certainly have heard of the titles he's worked on during his career. He was previously employed at 2K Games, Crytek and Kojima Productions; he worked as a level designer at the latter on Metal Gear Solid V: The Phantom Pain and the canned P.T., before moving to Capcom to work on level design for Resident Evil VII: Biohazard. He recently joined Nintendo EPD’s Kyoto section and was previously confirmed to be working on a mystery title. 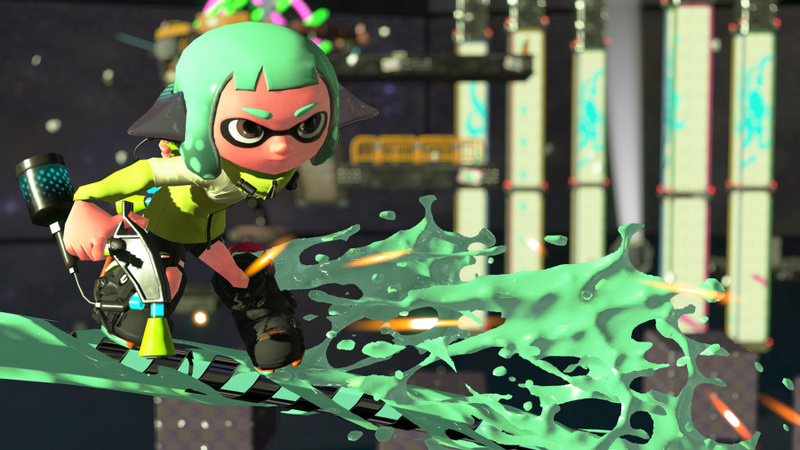 Those of you who have completed Splatoon 2's campaign mode may have spotted his name in the game design section, ending that particular mystery. So why is Amaro's credit such a big event? He's one of the first western developers to gain this kind of credit on a major first-party release. While NCL's internal teams have a long history of working with non-Japanese staff - Dylan Cuthbert and Giles Goddard spring to mind - they're usually credited as programmers, not designers. In development terms, a designer has a lot more say in the shape of the final product, which makes Amaro's role even more significant. It's fair to say that with such a glittering selection of games under his belt, big things lie ahead for Amaro. Watch this space. I'm just sad not to see Iwata as the executive producer anymore. Makes finishing every first party title kind of a bummer. Good on him. He's gotta be pretty pleased with himself, now being placed in the arena with developers from Nintendo. I'm also sad to not see Iwata's name anywhere, but at this point, it is refreshing to see new names on awesome titles!! Nintendo is in the process of discipling a new generation of staff and I think it's an amazingly creative era! Wow, that's quite a resume he's got! Would be nice to see him stay at Nintendo. Seem's he's been searching for his place quite a bit. I have a huge expectation on the younger generation at Nintendo. Stay fresh! I have to be honest I barely noticed anyone's name in the credits as I was enjoying spraying ink and flinging ink bombs all over the place! That said, it was nice to see Tatsumi Kimishima's name at the end (I think that's the first time I've seen him in a credits sequence). "In development terms, a designer has a lot more say in the shape of the final product, which makes Amaro's role even more significant." @panthro A designer does though. They shape mechanics, how characters should move, and all those things which then shape how levels play which shapes level design. Not to mention progression and levelling up, mode creation, designing the world and themes, all those are responsibilities of the game designers. @BLP_Software with extensive development experience I wouldn't agree. If your name's Miyamoto, maybe. @panthro Well it does also depend on team structure after all. Its a safe bet given his previous experience that he wasnt just hired to make a gun work. At the very least he had a large hand in single player or Salmon Run. I don't care how brilliant the design of the mechanics or levels is, as long as the basics are flawed. wasn't there another gaijin that was a close friend of the nintendo higher ups? i forgot his name. i saw it on that mini-docu about starfox, rare, and dinosaur planet. guess he wasn't a lead designer tho'. @panthro He has worked as a level designer and is credited on the game as a designer, but NL saying he probably designed some stuff instead of just coding is conjecture? You may have experience programming but you definitely struggle with English. @BulkSlash Kimishima has been credited in a few of the Switch games so far. He's definitely credited in ARMS, and I think either MK8D or BotW (but not both) featured him in the credits. I saw this and I first thought "what, are the new Splatfest hosts lesbian?" Good news-- Nintendo can always use some new blood and variety. @Jamotello I know who you mean. I can't think of his name but, he also developed Starfox 2 and says he has a great idea for a Switch game that needs funding. He's stoked that SF2 is coming to the Mini SNES. @NEStalgia Lol, yes I always remember seeing Hiroshi Yamauchi's Exec Producer credit at the end of various Super Famicom and N64 games and wondering what sort of input he would have given the dev teams! I am surprised at how much fun Splatoon 2 has been for me. Haven't played as much as some crazy kids out there, but it is surprisingly deep. And much improved from the Wii U version, which never hooked me. IIRC the "Executive Producer" thing is almost a company meme that started with the NES when it was supposed to say "President" instead and someone got it wrong, and they kind of stuck with it out of tradition. Except with Iwata it was actually a genuine credit since he was directly involved in just about everything! @PorllM you do know what conjecture is right moron? @panthro wow calling people names over the Internet lmao. Sorry didn't realise I was speaking to a preteen I would have been more gentle. And yes I do. Nice to see they are incorporating western talent as well - it will be interesting to see where it leads. @StuTwo @Niinbendo - if you are getting click-bait adverts, why not try an ad-blocker? I use uBlock...works like a charm! @gatorboi352 Kneejerk thought, I know. It's what sprung to mind when I read "something significant in Nintendo's history". Something Nintendo really needs to do a lot more of. They're far too insular and too focused on Japanese sensibilities when for years upon years most of their fanbase has been in the west. @LiberatedAnimal now that i think about it. there was a reunion of sorts of the developers of starfox 2 when it was announced it would be part of the snes classic. he stood out for being the only gaijin there, it seemed. With a CV like that its no wonder he's on the credits. @thesilverbrick It's a shame to say the very least. He went way too soon. When Reggie started off the first Nintendo Direct post Iwata's passing, and he said "Directly to you," something just didn't feel right.